Quite right, the people who don't give a damn about their dogs/horses etc will not be hounded by the rspca, as they only pick on the easy targets, elderly ladies and gentlemen who love their pets but haven't got the means to fight back. Pikey ponies seldom get a glance from the rspca, they haven't got the bottle to take on someone who might fight back (literally)and in any case, if it came to it, they would disappear and leave their animals to their own devices. 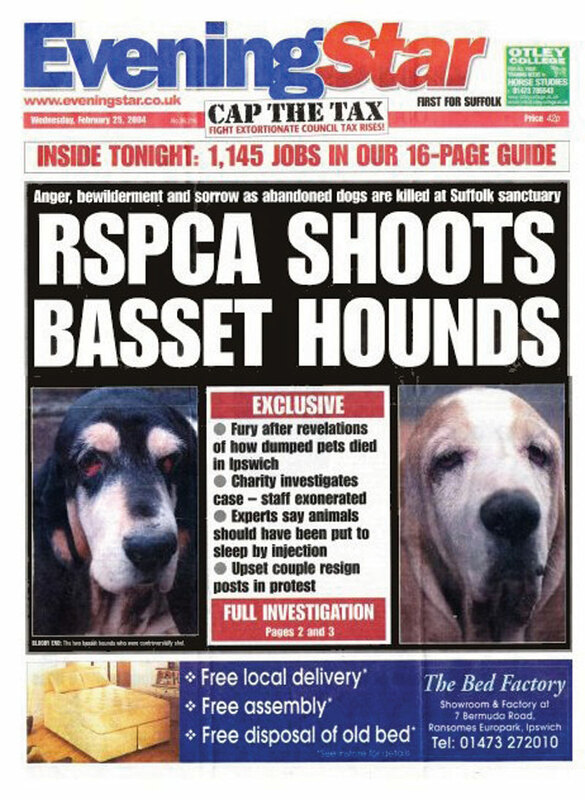 I have nothing but praise for the rspca vets who work flat out- I have seen them and they are great. It is the uniformed Animal Gestapo who must be brought to task. We must all pull together, and NO we will not close this site as long as people needsupport. This forum is intended to be a completely free forum for participators to communicate and speak to each other about their expieriences with the RSPCAS, the administrator does not need to vet every post, be aware that there is a lot of work going on on the web re the RSPCA's dispicqable antics. No one come on this forum no more?? Admin not seen since February. Any point in keeping it going? ?